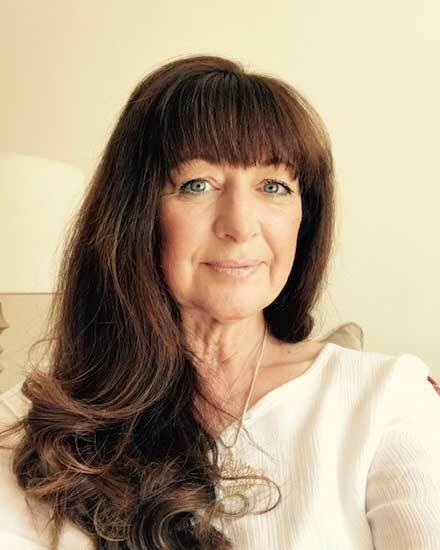 Lesley Humphreys is currently running a clinic in Stevenage, Hertfordshire called ‘Sole To Soul’. I now have my own home clinic and a close relationship with the local midwives who refer pregnant ladies, who are having problems, for Reflexology. As a result, I have had many ladies who have birthed naturally, and in a shorter space of time, after having Reflexology. I also obtained my Diploma in Nutrition which works so well alongside the Reflexology and have had some wonderful results. Guiding clients to eat a good healthy diet has proved very positive as we, as a nation, have become more aware of the importance of maintaining a healthy lifestyle. I first started my studies in Beauty 20 years ago but was always pulled nearer to the Holistic side. After losing my parents 8 years ago, I almost felt like I had a calling to study Reiki. I embarked on my journey into this wonderful treatment and studied Reiki 1 and 2. I then went on to study to Practitioner level. This gave me the inspiration to find out how the body naturally wants to work. I found it fascinating and wanted to explore more. I opened my Reiki clinic to friends and family first, with amazing results. Friends that had tried to fall pregnant, with dismal effects, came to me as the last resort and it appeared to work with more than one person! I have learnt that, with a positive mind, anything is achievable. I now teach all my clients, the art of positive thinking and follow the principles of the teachings. Once I discovered how the mind works, I wanted to look into incorporating other ways of healing. It was then I started my practice from home. I wanted to carry on with my studies, but felt it difficult to combine with working at the same time. I stumbled upon The School of Natural Health Sciences when I was searching for a Reflexology course in a magazine. I have to say that the best thing I have ever done is to ring that telephone number! I couldn’t believe how easy it was to learn such a complex subject. Each module was easily read and digested. I was a bit daunted by it all, at first, but the staff were always there to help and answer any questions, even the silly ones that were niggling away at me. I was ecstatic when I received my diploma, just before Christmas 2010. It was the best Christmas present ever. It was then that my practice ‘Sole To Soul’ was born, and it’s going from strength to strength. Many thanks to the wonderful team at the school!